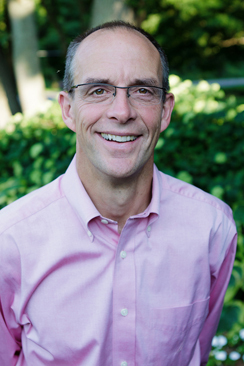 Dr. Jeffrey Weima is Professor of New Testament at Calvin Theological Seminary, where he has taught for 26 years. He is a sought-after speaker who is able to communicate well the truths of the Bible in an interesting, contemporary and practical manner. Jeff has published five books (Neglected Endings: The Significance of the Pauline Letter Closings ; An Annotated Bibliography of 1 and 2 Thessalonians ; 1 & 2 Thessalonians ), including a major commentary on 1 and 2 Thessalonians (Baker Books: 2014). His fifth and latest book is Paul the Ancient Letter Writer: An Introduction to Epistolary Analysis (Baker Books: 2016). Jeff is also the author of numerous scholarly articles, academic essays and book reviews. He is an active member of several academic societies, lectures in countries all over the world, leads biblical study tours to Greece, Turkey, Israel/Jordan, and Italy, conducts intensive preaching seminars for pastors, and preaches widely in churches in both the USA and Canada. Jeff and his wife, Bernice, have been married for 35 years. They have four children and five very cute grandkids.